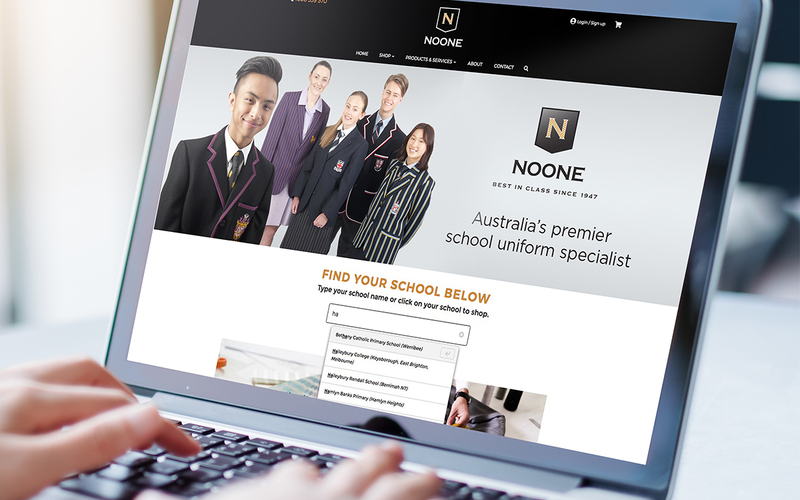 Noone is one of the school uniform industry’s most powerful manufacturers, with over 55 online schools and over 50 campus stores. We worked with core stakeholders and led them through a usability and design overhaul of their online platform. Firstly, we defined clear, measurable business goals and identified multiple customer personas to truly understand the needs of the site’s key users. 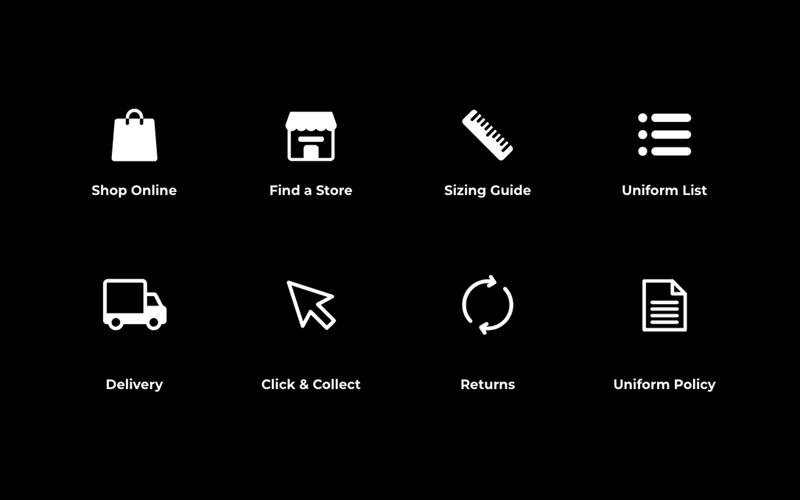 This work set the critical foundation for the user experience and visual design work to come. One of our key challenges was to appeal to Noone’s wide range of users, whilst making the most of the capabilities of this robust manufacturer. On the one hand, we needed to meet the needs of the clients (schools); those who are relying on Noone’s professionalism and quality to deliver an unmatched uniform service including ordering, retail, delivery and management. 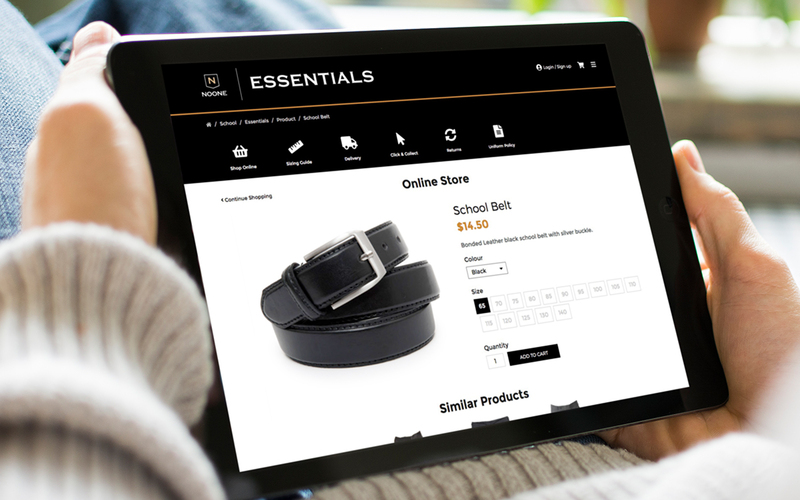 On the other hand, we needed to accommodate and delight our customers (parents) that are using the website to order quickly, easily, and on-the-go. 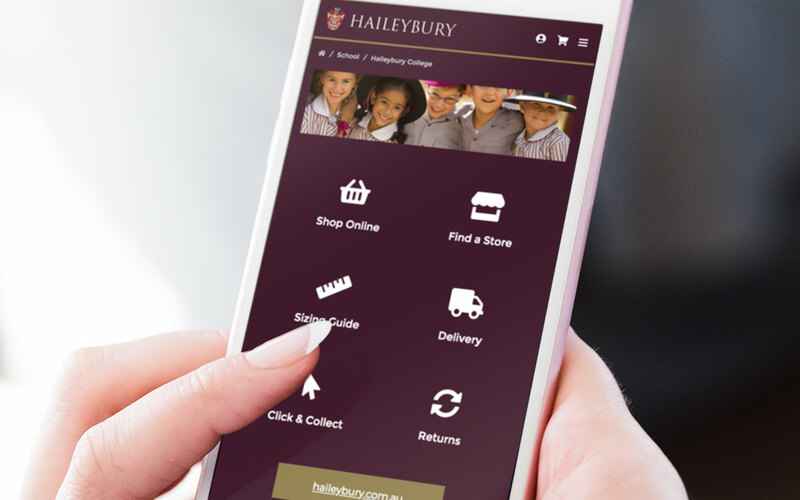 Some of our User Experience work included: Templated detail pages for design capability, retail management and manufacturing; unprecedented capabilities in predictive search to allow parents to locate their school faster; easy to use and manage online booking systems; click and collect feature; customisable school store platforms and much more. Project Scope: Art Direction, Digital Media, Icon Creation, Image Retouching, Photography, Website Design.